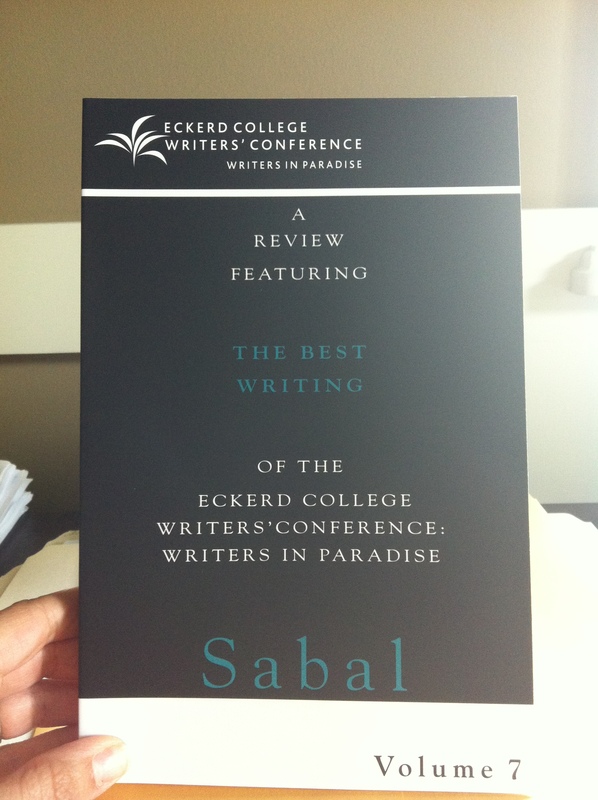 Sabal, Volume 7, from the 2012 Eckerd College Writers’ Conference is finally back from the printer! Thank you for your patience. Authors selected for Best Of and Honorable Mention will be receiving their complimentary copies very soon. A complimentary copy will also be mailed to the Best Of from the 2011 conference as well. Congratulations to ECWC Alumnus John White for winning the Arizona Mystery Writers’ 2013 Short Story Contest with his story, “Rat Baiting”! The dates for the 10th Annual Eckerd College Writers’ Conference: Writers in Paradise are: Saturday, January 18 to Saturday, January 25, 2014. Workshops, Faculty, Readings will be announced soon! We will open the application process later this summer and our application deadline will be November 25, 2013. You are currently browsing the Writers in Paradise Alumni blog archives for May, 2013.